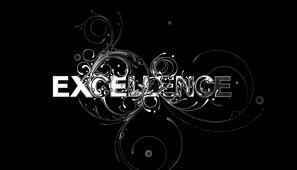 WE ARE WHAT WE REPEATEDLY DO.EXCELLENCE , THEN, IS NOT AN ACT BUT HABIT. We are recognized for our distinct set of behaviors. More precisely for our course of action or attitudes we exhibit in our day to day life. Thus our character is a composite of our habits. "Sow a thought, reap an action, sow an action, reap a habit, sow a character, reap a destiny." the maxim goes.